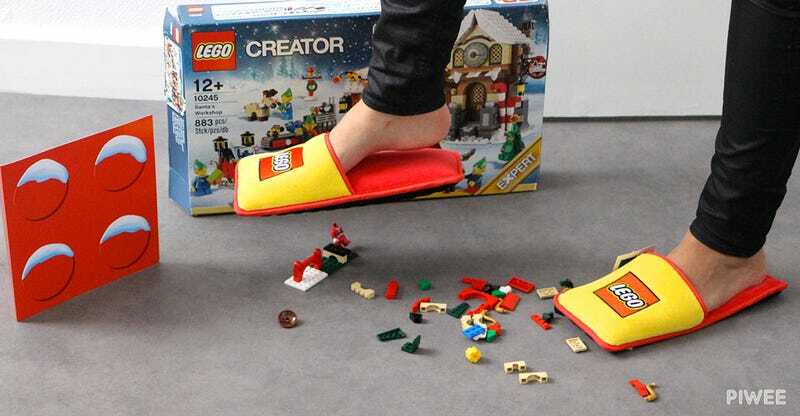 Finally admitting there’s nothing quite as painful as accidentally stepping on a plastic brick with bare feet, Lego has commissioned a limited edition run of branded slippers featuring a massive amount of padding on the underside to thoroughly protect bare feet. According to French blog Piwee, the slippers were created by ad agency Brand Station as a special holiday promotion for the company. The sad news is that just 1,500 pairs of them are being produced, but the good news is that they’re being randomly given away to anyone creating a wish list on the Lego France website.